Public viewing for the 2014 auto show starts this weekend at Cobo Hall in downtown Detroit. DETROIT — Flint-area automotive heritage took center stage right off the bat Monday morning at the 2014 North American International Auto Show (NAIAS) when General Motors swept awards for the North American Truck/Utility of the Year and the North American Car of the Year. The Chevy Silverado, which is built at Flint Assembly, took the top truck honors and the Chevrolet Corvette Stingray, originally built in Flint, took the top car award, according to a press release. This marks the fourth truck win and the sixth car win for General Motors. The Silverado won in 2007 and the Corvette won in 1998. The auto show kicked off Monday with five days of media, industry and charity pre-events before the doors open to the public at 9 a.m. Saturday, Jan. 18 and runs daily through Jan. 26. U.S. vice president Joe Biden was expected to be among dignitaries viewing the show during the preevent week. 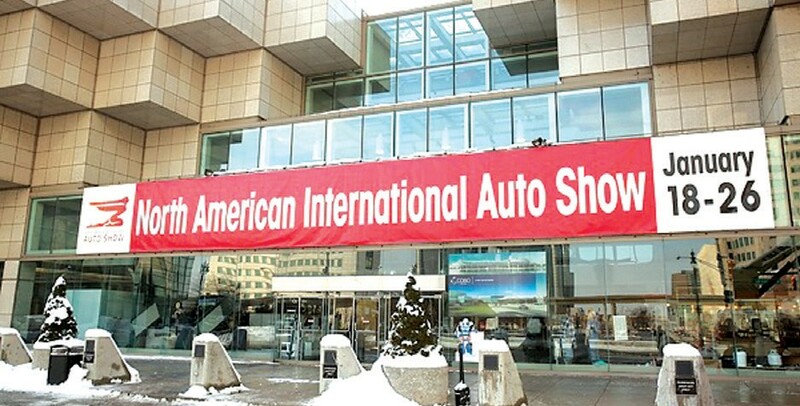 Celebrating its 25th anniversary as an international event, the NAIAS is touted among the most prestigious auto shows in the world, providing up-close access to automotive products, people and ideas — all under one roof. The week began with numerous concept cars under wraps on the display floor waiting to be unveiled in a worldwide debut. Approximately 500 vehicles will be on display of all makes and models including Bentley, Tesla, Jaguar, Porsche, BMW, Mercedes-Benz, Lexus, Volvo, Cadillac, Lincoln and many more. Ford Motor Division is debuting its new aluminum-frame F-150 pickup truck with a body and load bed made almost entirely of a military-grade aluminum alloy and said to be about 700 pounds lighter than the current version. “That will help the truck tow more and haul more and accelerate more quickly and stop in a shorter time with better fuel economy,” said Raj Nair, Ford’s head of global product development, during a press unveiling. Not to be outdone Chrysler is rolling out its “flagship” 2015 200 sedan; Chevrolet is showing off its next-generation Corvette C7.4 Race Car, 2015 Z06 Street Version. Cadillac took the wraps off its all-new 2015 ATS Coupe in another worldwide debut. The vehicle is a quicker, lighter vehicle thanks to extensive use of carbon fiber and other engineered materials, It is Cadillac’s first-ever compact luxury coupe and will go on sale this summer with options for rear-wheel or all-wheel drive and either a 2.0L turbocharged four-cylinder or 3.6L sixcylinder powerplant. Toyota unveiled its FT-1 design concept car, a symbol of its design future, that was heavily influenced by Toyota’s sports coupe heritage, especially the Celica and Supra. 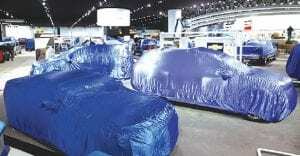 The display floor will be crowded with many other concept models and innovations in the automotive world. Ticket Prices are $13 for adults, $7 for seniors (age 65 and up) and children ages 7-12 and free for children age 6 and under when accompanies by a parent or guardian.